A very pretty collar, entirely hand made, in Creamy White , with a lovely undulating pattern of scroll work, typical Belgian "points" and a variation of fleur de lis. 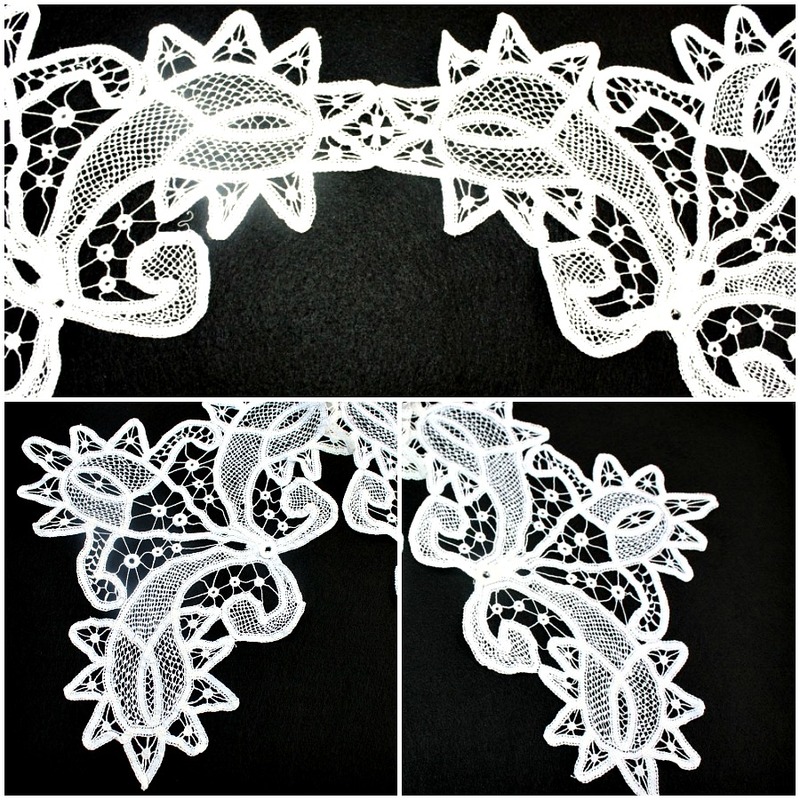 Made up of a combination of tape and Deuxième point, this is a wonderful piece to add to your lace history collection, or just to display proudly on your mannequin, or perhaps wear. Beautiful hand work, I am constantly amazed about the work women long ago created, this is a stunning example of their ability. In very good antique condition, with a few broken brides, two small spots on one of the points. Sweet surprise where the two sides join in the back, a cross that looks very similar to the Maltese Cross. Measures : 26" fully extended, 9" at widest point.